I call myself a gardener. Truth be told I’m very lazy in my gardener life. I have 3 front yard gardens that are mainly perennials, and then a good sized (for my in-city yard) plot for vegetables in the back. Every spring I’m filled with visions and ideas of what I want my gardens to be like. Rarely do those visions come to pass. This year I plopped some annuals in those front gardens and did nothing to the perennials. My front gardens are in need of a seriously heavy hand. I don’t think I’ll get there this year. Some of the perennials are overgrown, but they all flower and look fine through the growing season. I’m just not satisfied with the performance they provide me. I need to pare some plants back, move a few around, and just do some more intense garden maintenance. But it’s so much work. Ugh. My vegetables performed admirably this year. We had a really hot summer, and a drought, but the plants recovered and fruited a ton late in the season. My vegetable gardener life is a little more intense. I actually have to pay attention to what goes on back there. If it’s dry I HAVE to water, otherwise my plants will die. If a flower dies, oh well. But if it’s a fruiting plant I want to eat from, it’s a bigger deal for me. The vegetables I planted this year were tomatoes, green and jalapeno peppers, cucumbers, carrots, beets, onions and garlic. I also did some basil and oregano. Right now (November) the oregano is trying to take over an entire end of my garden, but I took the clippers to it. I can’t often get the perennial herbs to live over the winter, but I have high hopes for this aggressive oregano plant! My tomatoes were not as prolific as some years. Now, this year I did only plant one plant, as every other year I have such an overabundance of them I can’t keep up with it. Of course that was not the case this year, but I’m sure the drought conditions had something to do with that. The tomatoes I did get were wonderful, not too big, and very meaty. 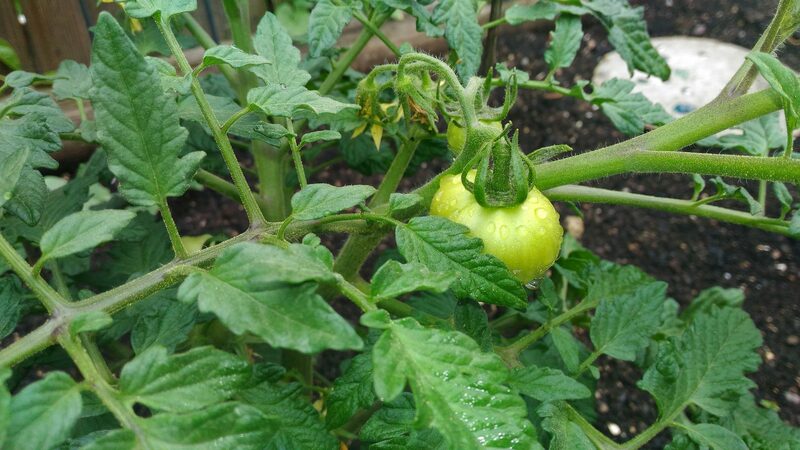 I planted a hybrid plant – something with beefsteak. (I know, not very helpful…) Anyway, they were good and we’re so busy that I’m glad we didn’t get a ton this year. Cucumbers harvested okay this year. Other years have been better, but again the hot, dry conditions are hard on the really dense watery fruits. Rose loves to eat cucumbers so we’ll keep planting them! 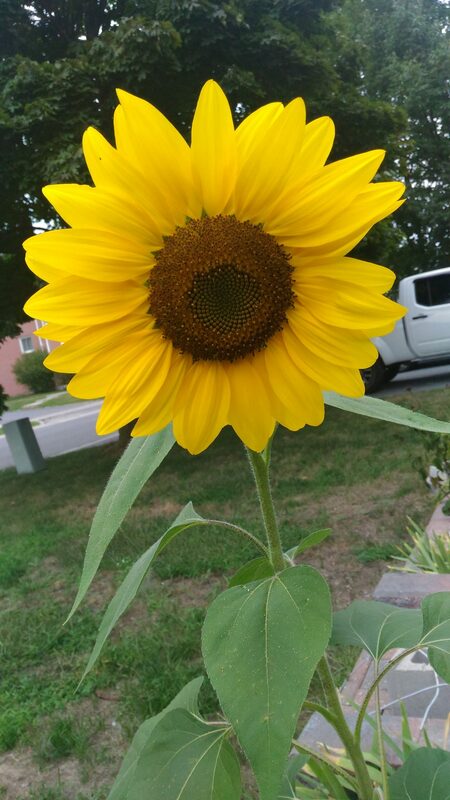 I finished off a bag of seeds I think we had for about 3 years, so the fact that they grew at all was a bit of a miracle! The peppers are another story. I got about 3 peppers before the weather got really hot and dry. 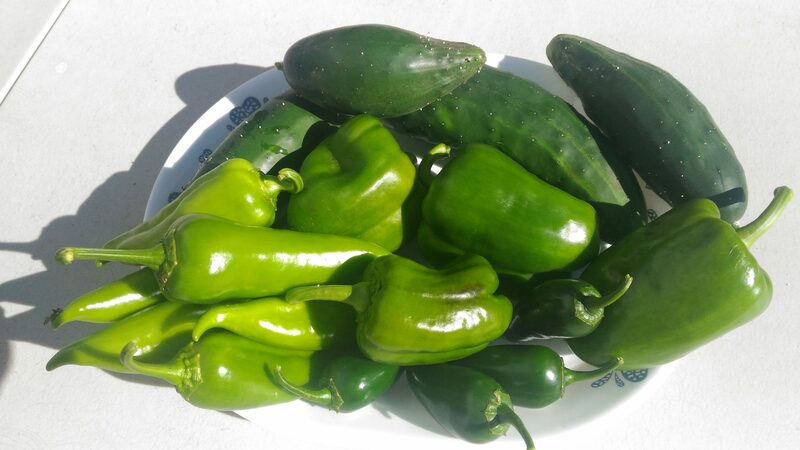 I was afraid that would be it – well except for the jalapenos, which produced non-stop all summer. Of course I eat a lot less jalapenos than bell peppers, but that’s okay. And funny story about the pepper plants. I thought I had purchased 2 green bell pepper plants, but the second plant grew me pointed peppers in a more pale green colour. They weren’t spicy but they did have a different taste than the bell peppers. They were delicious and we no problem eating them up, just strange that they were marked as bells but they weren’t. My garlic harvest was great. 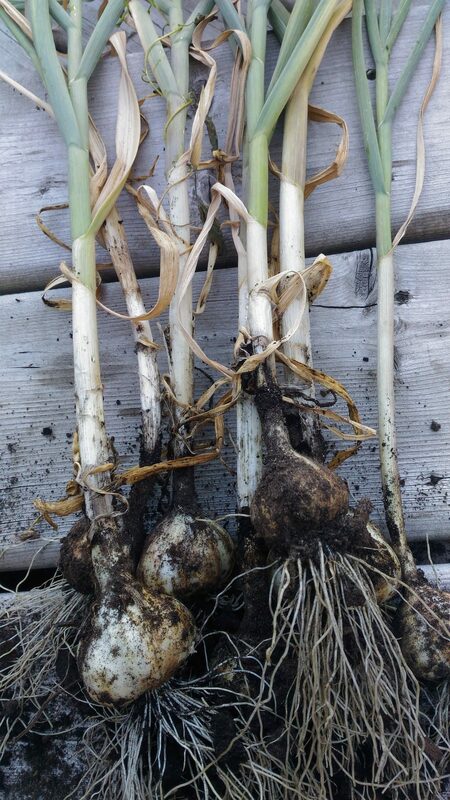 This was my first year planting garlic in the fall to overwinter in the ground. I got a great bunch and I’m about to replant for next year! For a week they hung outside under a tree after I pulled them from the ground and now they store wonderfully. I think next year I will plant more onions. I got great, pungent, cooking onions from my garden this year. The other root vegetables were great as well – my beets and carrots. I actually just pulled up the last 4 carrots this week (the week of Halloween) and they are still perfect. That’s another few bags of seeds I’ve been working on for a few years. And I have some carrot seeds left even! I don’t have any good photos of the carrots and beets – they’re always so dirty. We enjoyed eating them, that’s for sure! Every year I’m amazed at how much I can neglect my garden and it still provides me with wonderful delicious foods at the end of the season. Just think if I spent more time in my gardener life, how much better that harvest might be! 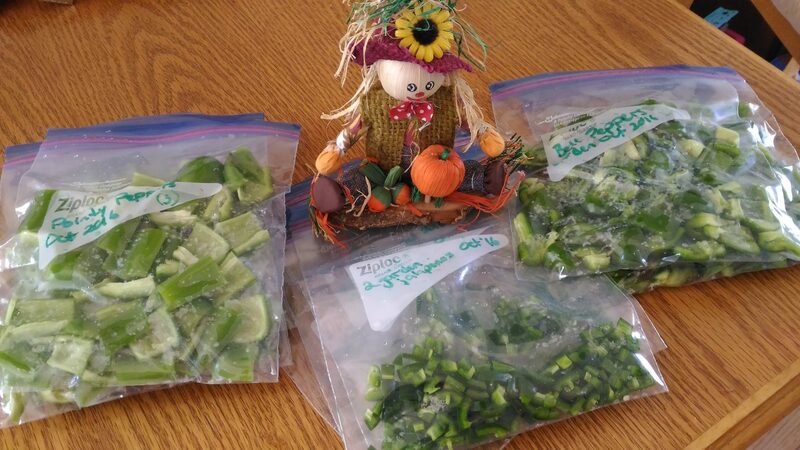 This year I actually processed some of the overabundance of peppers and put a bunch in the freezer. Funny story about that, actually! I spent an entire Wed morning chopping and sorting out my pepper abundance. (Wednesdays are my “at home” days where I try to get stuff done.) I started with the bell peppers, then the pointy light green ones, and then I chopped up the jalapenos. Well, I knew enough not to lick my fingers or stick them in my eye after handling the insides of jalapeno peppers, but what I didn’t know was it would be 3 days before my hands stopped burning. And yes, I did touch my eye – and while I was driving even. After I had washed my hands 12 times already. I definitely learned my lesson. Gloves next time. Do you grow a garden? Vegetables or flowers? I love having both! 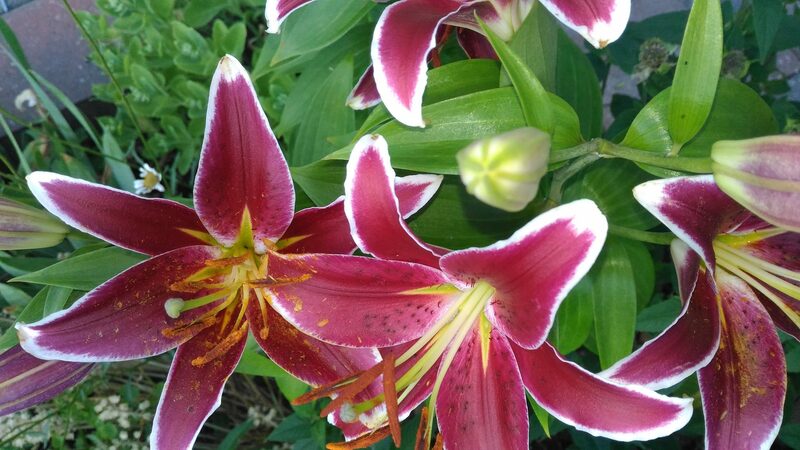 Share your garden stories with me in the comments. Did you have a great harvest? or grow something unusual that worked out great for you? I want to hear about it. I’m always looking for new plants for my flower beds – I’m in zone 5, I think. I know it sounds busy but it’s really not. 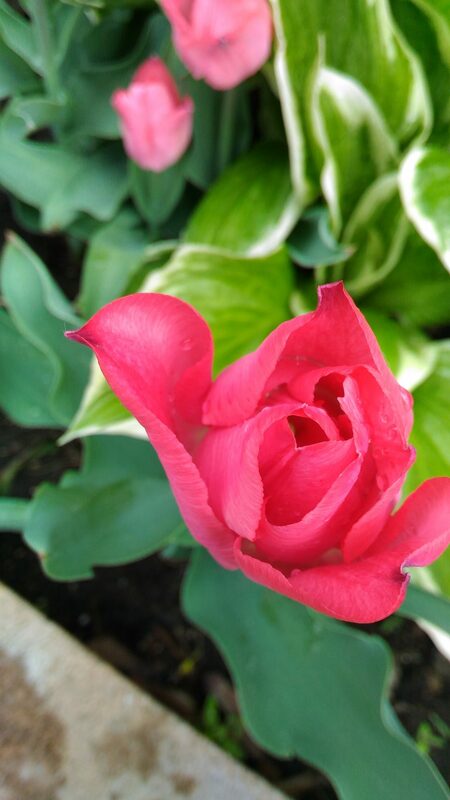 I have a busy weekend (or maybe 2) in the spring, and then another one or two in the fall and rest of the time is just keeping an eye on things, and asking the hubby and the kids to water once in a while. I do love getting dirty and pulling out the weeds but I don’t even do that as much as I should! Thanks for the comment Lisa!! Oh wow – I am totally impressed! I am not a gardener, my hubby is. I just ask him for herbs and stuff I then may use in my cooking 🙂 Of course, it doesn’t help that we’re in a townhouse with a teeny front where we planted tomatoes, basil, rosemary and… oregano. Just like yours that plant is totally taking over. We chop it off a few times during summer and fall and just dry it for later use. Works great. Same with the rosemary. Fresh herbs in cooking are just amazing, aren’t they? But they can take over – luckily they’re store-able! Even a small plot can yield a good crop. I’m happy to hear you can get some stuff grown in your small space! Hi Jess, I am a terrible gardener. I can’t even keep my oregano alive in a country where it grow wild! We have popped some broccoli in the back garden (when I say we, I mean the husband), which will be neglected and ignored until it’s ready to eat around January or February. Cactus are about the only plants I can grow as they seem to really thrive on neglect. Ha ha Deb! I hope you get a good broccoli harvest this year – I’ve done broccoli before and it has so much more flavour straight from the garden! Best of luck with your gardens this year! My motivation is just a love for being outside in the lovely weather. That’s why I say I’m a lazy gardener – I really only do work outside when it’s nice! Sounds like a great haul – well done! We did nothing with ours this year but the potatoes grew from the ones we missed digging out last year and the berry plants produced fruit again. I’m planning on trying harder next year. Aww, thanks! It’s really only real work at the beginning of the season (planting) and the end (garden clean up and winterize.) The rest is mainly hoping it rains enough over the summer! Thanks for the comment Zoe! I try (and fail) at being a gardener. I was beyond thrilled to grow 3 butternut squash from seed this year…. that was my yield– 3 squash. But I figured it was a start and more food than we’ve ever grown before. I love the gardens for an excuse to get outside. Growing my own food is so amazing to me. Being a biologist (or so I call myself, having gotten a BSc in biology) the science of plants is so interesting to me. I hope you can get a garden going for yourself!